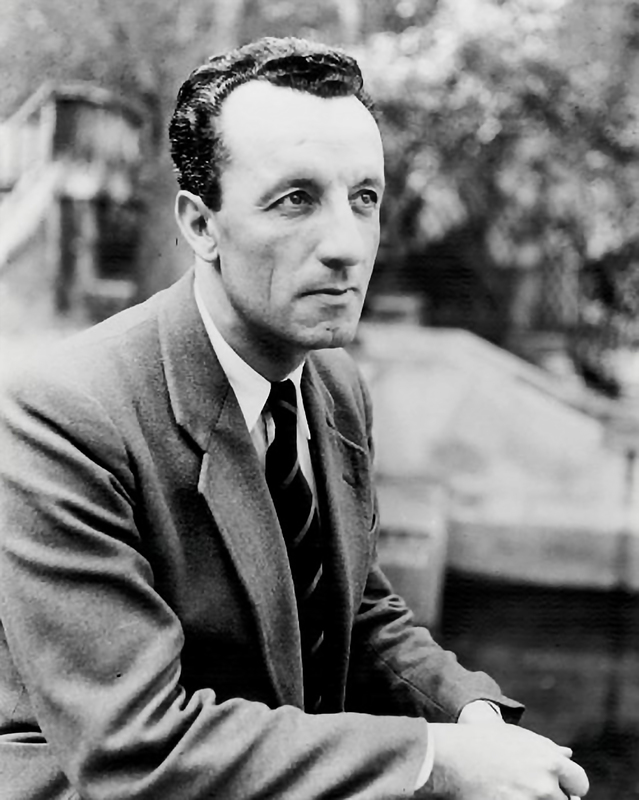 The International Merleau-Ponty Circle is an organization of students, professors, and scholars interested in the thought of Maurice Merleau-Ponty. It was founded in 1976 and convenes once a year, usually in late summer or early fall, at various colleges and universities in the U.S., Canada, and abroad. During this annual three day conference, philosophers, psychologists, historians, social scientists, health care specialists, political theorists, artists and like-minded professionals present papers on different aspects of Merleau-Ponty’s philosophy as well as its interrelations with recent Continental philosophy and theory. Conference directors have often arranged for publication of conference papers. There are approximately 750 members in North America, Europe, South America, Asia, Australia and Africa. Membership in the Circle is open and you can also join our Facebook group. Donations to the M. C. Dillon Memorial Fund can be made here. See our page about the Circle for further information, or contact our General Secretary, Prof. Gail Weiss, gweiss@gwu.edu, The George Washington University, DC, or our Associate General Secretary, Prof. David Morris, david.morris@concordia.ca, Concordia University, Montreal. Any questions or concerns about this website should be directed to IMPC webmaster Rawb Leon-Carlyle, mrl28@psu.edu. The Forty-Fourth Annual Conference of the International Merleau-Ponty Circle will be held at Fordham University. The conference dates are September 12-14, 2019 and the theme of the conference is “Affect, Emotion, Feeling”. The conference is directed by Prof. Shiloh Whitney. Keynote addresses will be delivered by Matthew Ratcliffe (University of York) and Alia Al-Saji (McGill University). The annual conference features the M. C. Dillon prize and lecture for the best graduate student paper submission. The conference program can be downloaded here. Those interested in attending should visit the conference website and can download the conference poster. Announcing the relaunch of Simone de Beauvoir Studies! Simone de Beauvoir Studies (SdBS) is currently accepting submissions. Please find instructions for authors and calls for special issue themes here. The first volume of the relaunched journal will appear in 2019, and includes thematic issues on “The New Face of Simone de Beauvoir Studies” (Vol. 30, no. 1) and “Beauvoir in Conversation” (Vol. 30, no 2). Articles are published in English and French. Les Simone de Beauvoir Studies (SdBS) acceptent des articles pour être publiés dans la revue. Merci de regarder le site de la revue pour les instructions aux auteurs et aux autrices, et pour soumettre un article . Son premier numéro paraîtra en 2019 et il contiendra les articles sur les thèmes « Nouveau visage pour les Simone de Beauvoir Studies » (vol. 30, no. 1) et « Dialogues avec Beauvoir » (vol. 31, no. 2). Scholars interested in the work of Merleau-Ponty should check this page regularly for upcoming CFPs of interest. If you are currently seeking submissions for a journal or conference related to the work of Merleau-Ponty, please submit your CFP to our webmaster. See our compiled bibliography of primary source works or our current bibliography of secondary source works for information about Merleau-Ponty work’s and scholarship on Merleau-Ponty. See below for new publications relevant to Merleau-Ponty and his work. Membership in the Circle is unrestricted. Visitors are encouraged to review our bylaws or a list of the Board of Directors of the International Merleau-Ponty Circle. Programs from previous IMPC conferences are accessible through our Archive. The Forty-Third Annual Conference of the International Merleau-Ponty Circle was held at the University of Tennessee, Chattanooga from November 8-10, 2016. The theme of the conference was “The Normal and the Abnormal.” The conference was directed by Prof. Talia Welsh. The M. C. Dillon prize and lecture for the best graduate student paper submission was awarded to Rawb Leon-Carlyle (Penn State University) for his paper “Wild Red: Synesthesia, Deuteranomaly and Euclidean Color Space”.